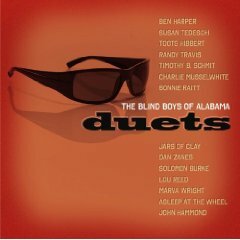 "When The Blind Boys of Alabama open their mouths to sing, what comes out is older than salvation, older than redemption. It is the sound of oppression and struggle. It is the sound of revelation and liberation. It is a sound as old as time. 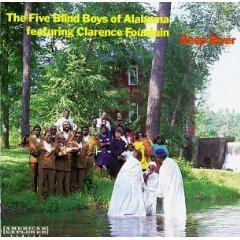 The Blind Boys of Alabama are the pyramids of gospel music; the birthplace of sacred soul." - Musician/singer Ben Harper. 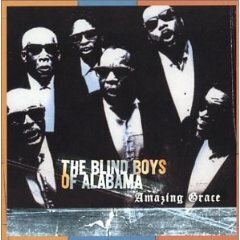 The Blind Boys of Alabama have been pilgrims on the Gospel highway for nearly 60 years now. The seeds of the group took root among friends singing informally in 1937. The road from Talledega , Alabama 's Institute for the Deaf and Blind, to Hollywood 's House of Blues is a long one, and the journey was often a test of faith. There were the legal inequities and social insults that marred road life in the group's early days as well as bilking by record company sharks. In 1983, the group played a role in The Gospel at Colonus - an award-winning musical theatre production that enjoyed success both on and off Broadway. They also appeared on a couple of soundtrack recordings in the late eighties that brought their sound to a newer, younger, more versatile audience. 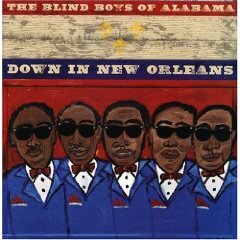 Finally, in 1992, after 53 years in the music industry, the Blind Boys were nominated for a Grammy Award for their album Deep River , which was produced by Booker T. Jones. 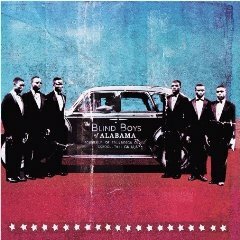 This CD marked the first time the Blind Boys gospel-ized non-gospel music, with their cover of Bob Dylan's "I Believe in You." In 2001, the Boys won their first Grammy for their CD Spirit of the Century (2008), which blended their traditional soul, gospel stylings with contemporary songs. In February of 2009 during the Grammy Awards, the band received a Lifetime Achievement Award. 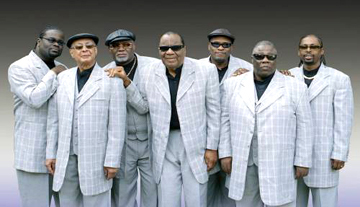 The Blind Boys have proven themselves masters of bringing out the most spiritual aspects of mainstream music, while at the same time bringing the music of the church straight to the roadhouse. In the past five years, they've recorded moving renditions of songs by everyone from Tom Waits to Prince side by side with their traditional material, and appeared as guests on record and on stage with an equally diverse array of artists, from Peter Gabriel to Ben Harper. During this amazing run, the cover tunes and collaborations have been consistently tasty and organic, seasoned with a time-tested understanding of the sounds that move Man's soul.